This 6-inch (15.2 cm) brass bell, mounted on a high-gloss mahogany finish presentation plaque, is a distinctive way to acknowledge accomplishment in any field of endeavor. The white, hand-tied, monkey fist lanyard lends a nautical touch to the award. 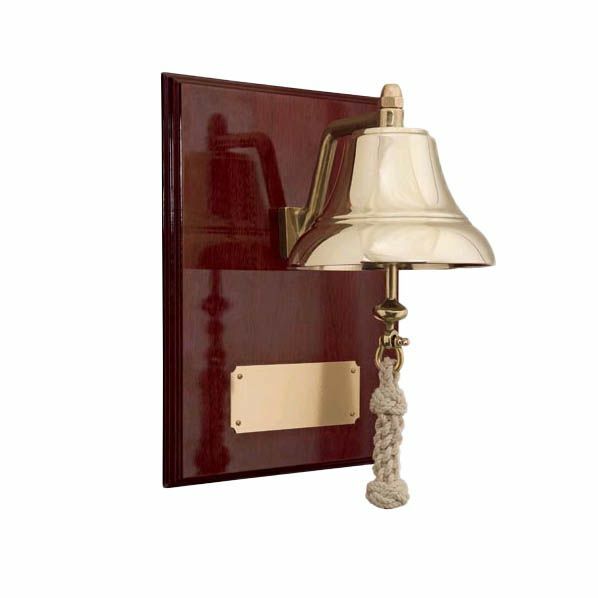 Our in-house engraving service is available to customize the bell plaque with an engraved message on the accompanying brass plate.